Theory Canada is a satellite conference to the annual Congress of the Canadian Association of Physicists (CAP). It serves as a venue for the Canadian theoretical physics community to meet, interact, and share new research results with colleagues from across the country. This event involves both the exchange of new results and ideas with colleagues working in the same subfield of theoretical physics, and also the cross-fertilization between different areas. This was seen as particularly important given Canada’s geographical expanse, and the relative isolation in which some researchers find themselves. The Theory Canada 8 conference in 2013 will consist of five thematic oral sessions and a poster session. Each oral session will comprise two 30-minute talks and five 20-minute talks (including time for questions). The talks are intended to be comprehensible to researchers in theoretical physics who are non-experts in the field. Each session will include a coffee break. The conference will begin with a reception on the evening of May 23rd and a banquet will be held on campus on May 24th. 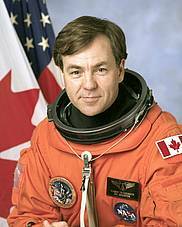 Former Canadian astronaut, Dr. Bjarni Tryggvason, will be the banquet speaker. After their talk, participants are strongly encouraged to provide PDFs of their presentations so that they can be placed online for future reference. A block of rooms has been reserved at the Paterson Hall residence of Bishop’s University; please see the Accommodations tab at the top of the page. 1. If you are giving a talk, please put your talk on a USB in PDF format: Prior to each session, speakers should transfer their talks onto the lecture-room computer. 2. Ethernet cable needed by those staying in residence: Please bring a cable with you (or loan or buy one when you check in). 3. Coach service from Bishop’s to Montreal on Sunday May 26: The bus will depart at 9 a.m. and drop participants off at the Delta Montreal hotel, Central Station (Via Rail), and Université de Montréal Residences. 4. Restaurants and Stores: A list of restaurants and options for dining (in addition to other information) can be found on the Accommodations page. 5. Schedule: The penultimate version can be found on the Schedule Tab.